The sizes of apps, photos, and operating systems are getting larger. The Facebook app alone now takes up a whopping 250 MB. If you also use Pages Manager and Messenger, you’re looking at well over half a gigabyte of storage space. Games, videos, images, and back-ups will also eat through your memory. If you use an older device, or even the entry-level model of a newer device, you’ll quickly find yourself hitting your storage limits. There’s nothing worse than whipping out your phone for a once-in-a-lifetime photo only to be met with the dreaded “Memory Full” message. In this article, I’m going to show you a few ways of quickly, safely, and easily freeing up some much-needed storage space. Be honest, how many apps that you currently have installed do you frequently use? Sure, we all need an email client 7 Amazing, Unique Email Apps for Android You Need to Check Out 7 Amazing, Unique Email Apps for Android You Need to Check Out Bored of the official Gmail app, or want a better email app for whatever email provider you have? This is the list for you. Read More , some social media apps, a news app, perhaps a game or two 10 Classic PC Games You Can Play On Your Android Device 10 Classic PC Games You Can Play On Your Android Device Want that PC gaming experience on your phone or another Android device? These 10 PC games available on Android are sure to entertain you and bring back memories! Read More . But do you really need that random weather widget you downloaded, or the app that distorts your face to make you look like your dog? Probably not. Recent versions of Android make it easy to see which apps are the worst offenders. Navigate to Settings > Storage and tap on Apps. Wait for the list to populate, then tap the menu button in the top right-hand corner and choose Sort by Size. Lots of apps let you save content so you can access it when you’re offline. For example, one of the key features of Spotify Premium Is Spotify Premium Worth Its Premium Price? Is Spotify Premium Worth Its Premium Price? Is Spotify Premium worth its premium price? Discover what Premium offers and whether you should upgrade from Spotify Free. Read More is the ability to save music directly to your device. Some RSS readers let you save articles to read later, as do bookmarking services like Pocket 9 Ways to Get More Out of Pocket 9 Ways to Get More Out of Pocket Pocket is the ultimate digital bookmarking service out there. Let's find out how to boost your Pocket experience with the right web apps and extensions. Read More . OneNote will sync all your notes onto your phone for offline access. The list goes on. Saving content for offline use is great — if you have enough memory. If you don’t, you’ll quickly start wondering why all your free space has suddenly vanished. A few prudent steps will alleviate the problem. Try making a playlist on Spotify with just enough songs to cover your gym session or commute. Only open the notebooks you use most frequently on OneNote, and avoid downloading any huge files from cloud storage services. To clear the offline content that you already have saved on your device, you have two options. You can clear app caches on a case-by-case basis by going to Settings > Apps > [App Name] > Storage > Clear Cache. 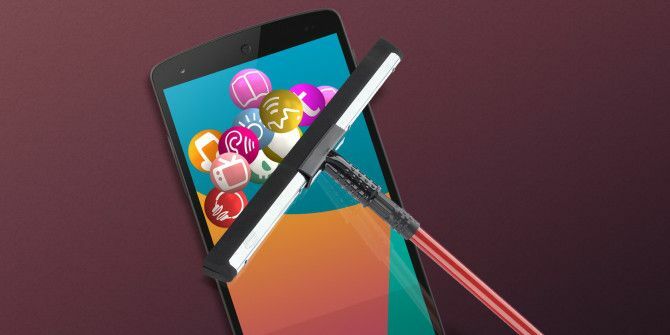 Alternatively, you can use a reputable third-party tool like SD Maid Three Steps to Restore Your Sluggish Android's Performance Three Steps to Restore Your Sluggish Android's Performance Yes, Android devices do get slower with time - you're not imagining things. Here's why, and what you can do about it. Read More . Google Photos will automatically backup all your photos Get Free Unlimited Photo Storage & More with Google Photos Get Free Unlimited Photo Storage & More with Google Photos If you aren't using these hidden Google Photos features, you're really missing out. (Hint: There's free and unlimited photo storage!) Read More to the cloud. As long as you’re happy with a slightly lower resolution, they won’t count against your Google Drive storage limits. If you’re looking at your photos on your device, you won’t notice they’re not saved locally. They will still be accessible and viewable through the app as they were before as long as you have an internet connection. The app will even alert you when it thinks it can help save you some space, with an on-screen notification making you aware that you’re closing in on your memory limits. If you think you’re close to capacity, you can get the app to check on your behalf. Navigate to Google Photos > Menu > Free Up Space. The app will scan your phone and let you know how many photos have already been backed up and can be safely deleted. Sadly, fewer and fewer devices are now shipping with an SD Card slot. 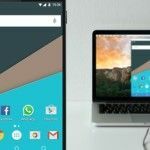 The Nexus line hasn’t included one for a long time, the new Google Pixel 5 Reasons the Google Pixel Phone Will Flop 5 Reasons the Google Pixel Phone Will Flop There is a lot of hype surrounding the new Google Pixel phone, but the phone probably won't hit its mark. Read More doesn’t have one, and lots of high-end phones from HTC, Motorola, and Sony are also missing one. The exception is the Samsung Galaxy S7. There’s a good reason for their absence: Cheaper SD Cards will not perform as well as more expensive ones because they’ll have slower read/write times. But many users won’t realize that their SD Card is at fault – they’ll just think the phone is sluggish. That’s bad publicity for manufacturers. They’d rather you just bought a more expensive model with more storage. If you have an SD Card, which content you can move onto it depends on which version of Android you are running. If you have Android 6.0 or later, you can format your SD Card as internal storage (Settings > Storage > Storage & USB) and your phone will take care of the rest. If you have an older version of Android, you’ll only be able to move certain apps. You’ll need to root your device The Complete Guide to Rooting Your Android Phone or Tablet The Complete Guide to Rooting Your Android Phone or Tablet So, you want to root your Android device? Here's everything you need to know. Read More to move everything. If you’ve performed all the above steps but still can’t work out what’s taking up all your space, you might need to turn to an analyzer app to investigate all your device’s folders. The best one is arguably DiskUsage. It’s a great way to find old downloads, leftover files from games, and other rogue entries. The app will display all the results in an easy-to-understand on-screen graphic, thus helping you find any files and directories which consume a lot of space. You can delete those files and directories from within the app itself. How Do You Free Storage Space on Your Device? I’ve shown you five methods that can dramatically decrease the amount of internal storage space being used on your device. But there are lots more – and I want to hear about them. What apps do you use to analyze your folders? What space-saving tips do you have to pass on to your fellow readers? How do you prevent your device from hitting its memory limits? You can get in touch with your ideas, tips, and solutions in the comments section below. Originally written by Erez Zukerman on July 12th, 2012. Explore more about: Cloud Storage, Storage. one of the worst apps for internal storage is WhatsApp which insists on storing all media files internally. the best option(s), only leave chat critical media in the chat, for all others: 1. delete unneeded files, 2. transfer files to external/computer/cloud storage then delete chat file, 3. for files you wish to keep on your phone, create folder(s) in SD storage, use gallery options or a file manager to move files then manually revise chats to delete "shadow image" place holders of the original. My Samsung ACE GT-S5830 came with a pathetic 158 Mb and shortly after installing Stock Lite v8 Rom and trying (and uninstalling) tiny apps from Google Play Store my memory was down to ~20Mb. I noticed the Google Play Services app had become VERY fat (over 66Mb from 1.5Mb) so within Settings> Applications> Manage Applications> All , I found the Google Play Services app, selected, and uninstalled the updates. After applying same to Google Services Framework, over 80Mb of memory was clawed back! I use AppMgrIII, open the most annoying app, then Clear Data. Tried downloading the sd maid app... however, it tells me that there's not enough room!!! So catch 22, how can I free up space? I've moved what I can ie. music, pictures, etc to the sd card, but apps taking up majority of the room. & I'm sure there's stuff taking up room which can be cleaned up which I can't see.... how to do this without an app?? Try not to add to many apps. Get rid of unused ones too. When i get a little more familiar with it I will try other things! this happened with me too.. I suggest using a file manager like Total Commander for Android, or Root Explorer. Erez, what version of Android are you using? On mine (LG Optimus with Virgin Mobile) when I tap on "Settings" I do not see the same "Storage" option you displayed. Mine says "SD Card and Phone Storage", then when I choose that I am only shown how much storage each area is using. Tapping on them does not show the more detailed breakdown in your screenshot or open a file manager. I truly wish my Android had a built in way of showing exactly what is using up all my space... I am always getting "low memory" settings. Right now it says my available internal space is just 38mb. Anyhow, you should probably update your article to clarify which version of Android has the built in Storage setting and file manager you write about since apparently not all have it. I use Android 4.0 (Ice Cream Sandwich). If you do not have this option in your ROM, it is probably because your carrier disabled it for some reason. Android fragmentation is a huge issue, and this is an implicit disclaimer in all Android posts: Not all phones will have the same options, ever. Sad, but true. I use app2SD which allows me utilise the little amount of storage available on my xperia arc S. easy to see what uses the most memory and the cache as well as moving apps from internal storage to the SD card where optional. It also lets you know what aspects of the app (widgets and the like) might not work if they are moved. it takes up very little space and has allowed me to utilise a lot of space on my phone and speed it up no end in the process. For a free app, its been a life saver. I'm using Link2SD with a partitioned SD card. Simple and very effective!